Fall in love with autumn weddings, where the world glistens in gold and crisp air calls for warm embraces. Beautifully captured by Colorado Wedding Photographer SARAH PORTER, this soft autumn editorial illustrates a subdued fall wedding, with timeless details and warmth that could effortlessly appear in any season. Natural stone steps, hidden archways and rolling hills at the breathtaking CHEROKEE RANCH & CASTLE in Colorado created the perfect setting, reminiscent of a European getaway. 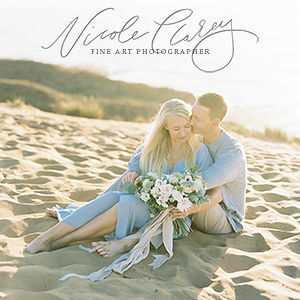 Colorado based wedding planner TIED WITH A BOW WEDDINGS, alongside a curated team of creatives, designed and executed the vision with a colour palette of creams, golden hues, soft greens and pops of blue. The ceremony arch features untamed textures, like the tumbleweeds architecturally woven by Colorado florist, LA RUE FLORAL. 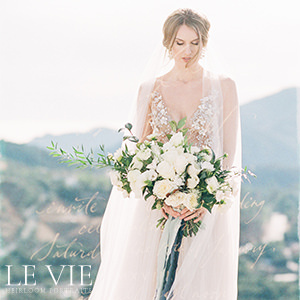 Framing the tablescape are tactile, organic elements and embellished vintage treasures. The farm style table is ornamented with custom textiles by Ohio based artist THISTLE & TWILL, including a hand-dyed table runner and napkins, classic stemware and flatware from Anthropologie, and a luxurious floral centerpiece complete with butterfly ranunculus, golden mustard garden roses, wheatgrass, spray roses, amaranthus, and snowberry. The lush invitation suite created by BEAUTIFULLY NOTED boasts pillowy handmade paper in rich autumn tones impressed with charcoal ink. Old world romanticism meets the modern artisan with the juxtaposition of elements like a bold serif typeface and soft calligraphic lettering. Delicate vellum graces the invitation and is secured with cognac cord and an antique gold wax seal. Hand-dyed silk ribbon drapes the vow booklets, where the couple’s promises to each other will live for generations to come. The bride is dressed in a stunning WILLOWBY BY WATTERS gown from DORA GRACE BRIDAL BOUTIQUE, and adorned with an exquisite hair piece from SHEETA DESIGNS. 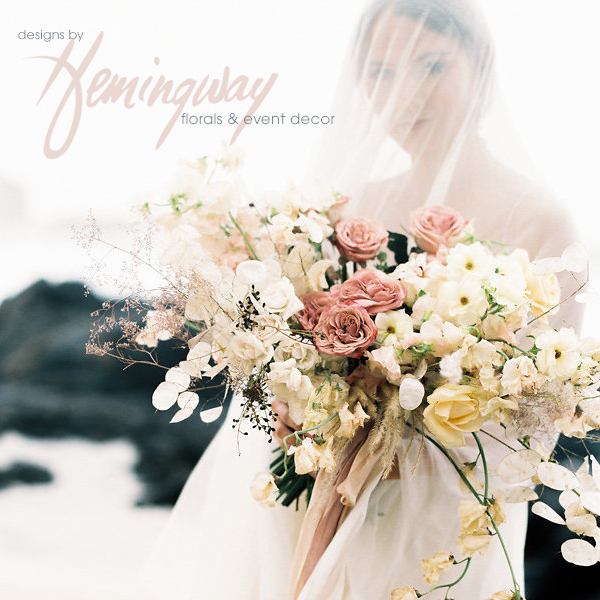 These soft hues and textures blended with old world beauty will continue to inspire blushing brides-to-be throughout the changing of the seasons. A huge thank you to Colorado Wedding Photographer SARAH PORTER for sharing this beautiful inspiration with us. This fine art hybrid photographer is constantly inspired by the unspoken moments shared in the deep connection between two people completely immersed in love. "So much beauty exists in-between moments that I notice, unposed and vulnerable. These are the moments I would love to help you capture in your story. Every time I pick up a camera, it’s an opportunity for connection. My process will revolutionise your perception of photography from fear to enjoyment. It is important that you experience the instances that leave you speechless and occasions that take your breath away on your wedding day." If you're looking for a Colorado wedding photographer you can see more of Sarah's work in our vendor guide. Thank you for this beautiful feature. This was such a fun and inspiring collaboration with son fantastic Colorado vendors. 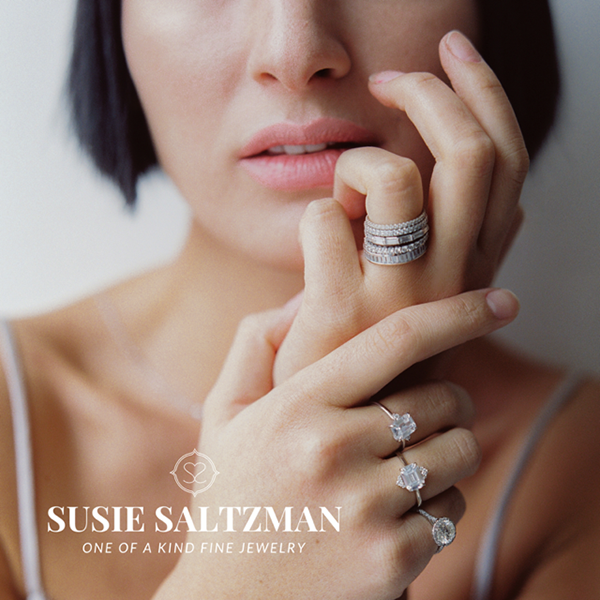 So happy to feature your work! Thank you so much for sharing, MR! It was an absolute honor to participate in bringing this inspiration to life-this vendor team is AMAZING and so well deserving. We're so grateful to see it here... may it continue to inspire! 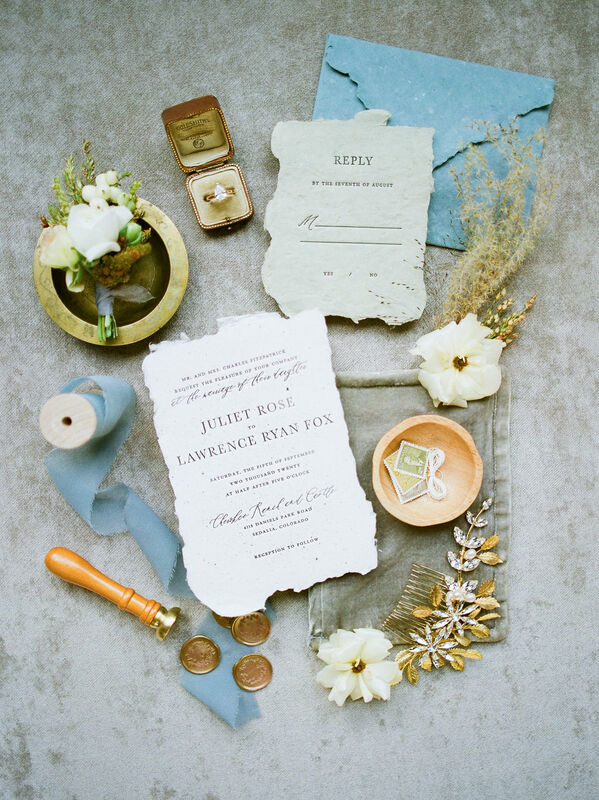 I LOVE your paper goods in this shoot!! 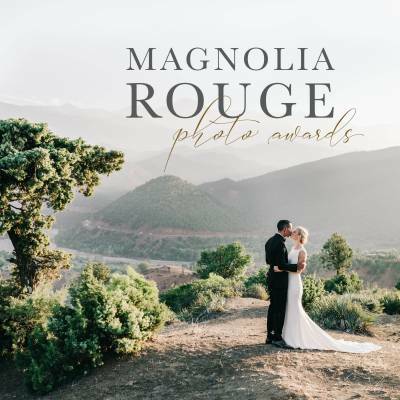 What an honor being featured on Magnolia Rouge! Thank you for sharing this collaboration. We had such a wonderful time working with this incredible Colorado team! This feature is beyond stunning! I was so thrilled to be asked to participate with such an amazing group of creatives! Fairytales do come true! Oh my word. So obsessed with this color palette and all that texture. Wow! Super inspiring! What an honor to be shared in such a gorgeous publication! Bucket list item - so thank you for sharing! Such a joy to have been a part of such a beautiful vision and even prettier day!